At this point in the year of birds, we were three months into trying to have a baby, and now I was definitely one month pregnant. Just pregnant enough to be slightly miserable, but not pregnant enough to tell anyone. So the baby bird drawings, while infrequent, now start in earnest. I love this one. 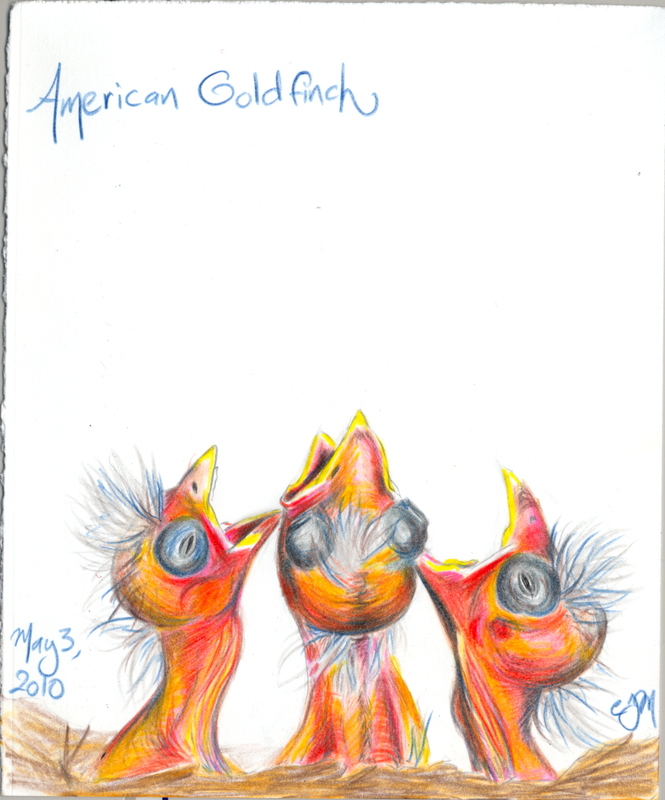 The urgency of their squawking little faces, the vivid colors of their naked necks… it was fun to draw. Thank you – on both counts. Thank you! I really enjoyed creating this one.